Please contact the owner directly @ 787-397-9707 or mlopezengineer@gmail.com. 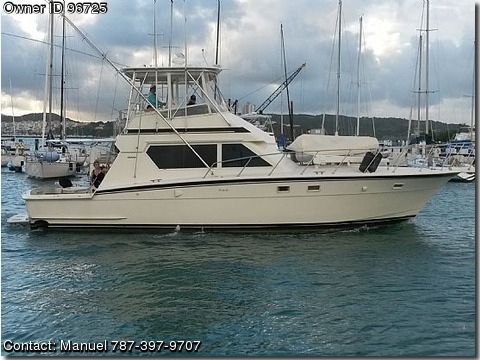 Well maintained, engines, generator, ACs, in top shape.Remodeled interiors. Two staterooms, two full Heads. midlevel Galley, new flybridge cushions and canvas covers, watermaker, remote controlled full chain Lewmar winch.Much more!Please call or email for more info.